Andy Benes is a former major league baseball pitcher who played in the MLB from 1989 to 2002. During his career Benes played for the San Diego Padres from 1989 to 1995, the Seattle Mariners in 1995, the St. Louis Cardinals from 1996 to 1997, the Arizona Diamondbacks from 1998 to 1999 and the St. Louis Cardinals again from 2000 to 2002. Benes played in the All-Star game in 1993 and in 1994 Benes was awarded the National League strikeout leader. Andy Benes is also a Christian speaker plus he makes appearances as a broadcaster. PFP Sports & Celebrity Talent Agency is a top booking agent for motivational sports speakers and celebrities. 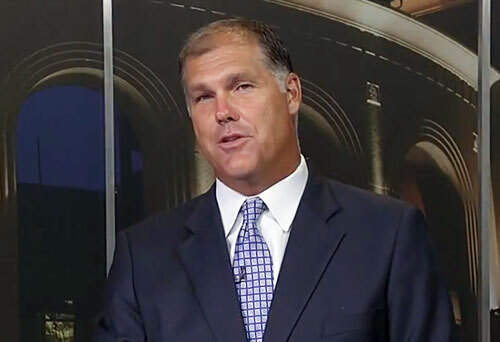 If you would like to book MLB stars like Andy Benes for a speaking engagement, personal appearance or special event, you can request Andy Benes agent and speaker information from PFP Sports & Celebrity Talent or call 800.966.1380.